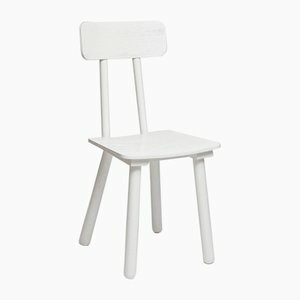 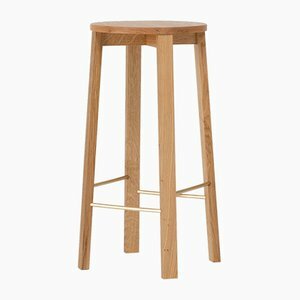 Bar Stool Four is a practical and handsome stool that works equally well at home or in a restaurant setting. 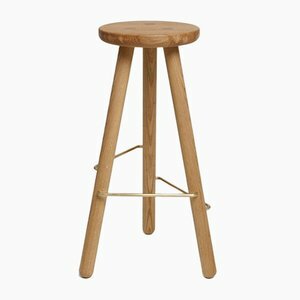 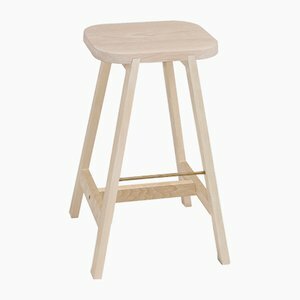 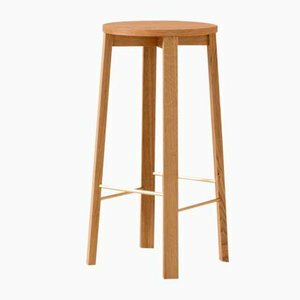 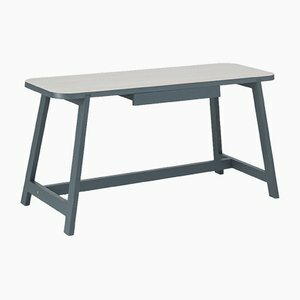 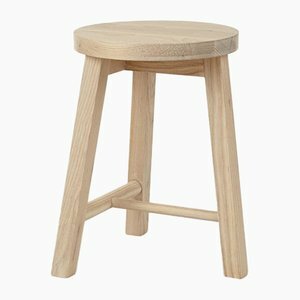 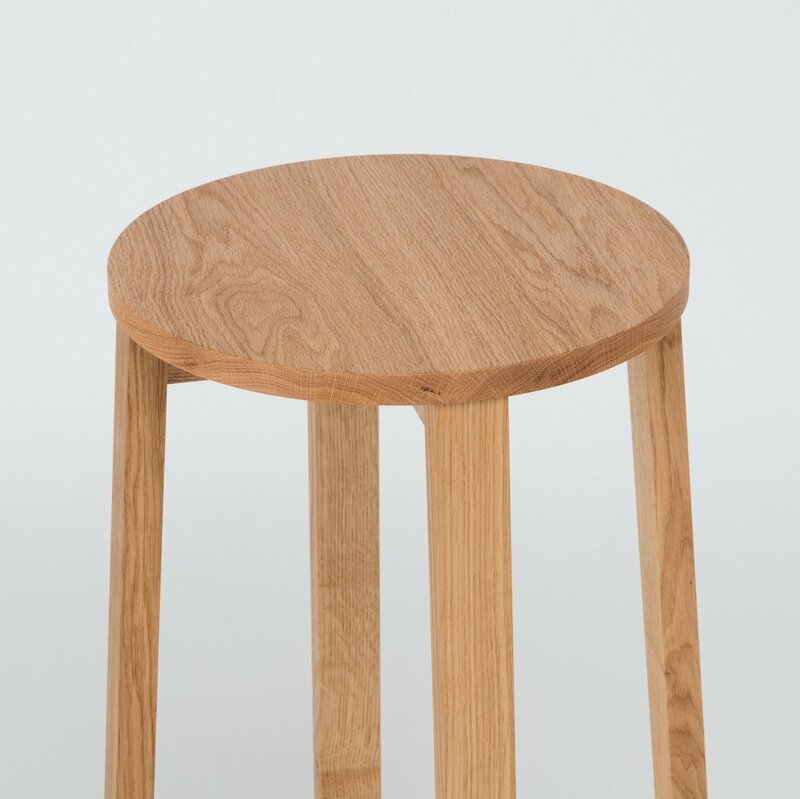 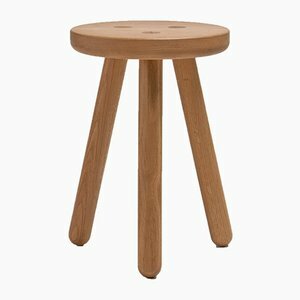 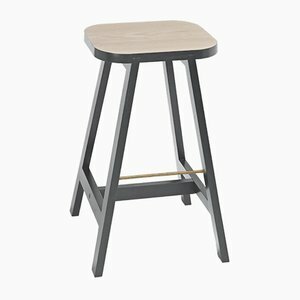 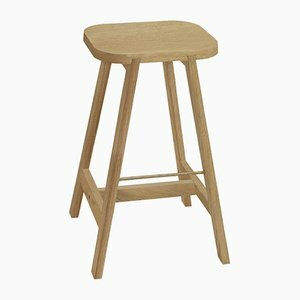 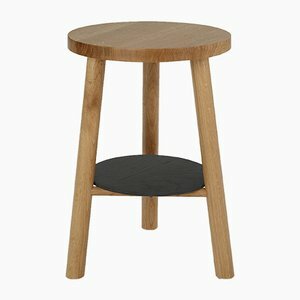 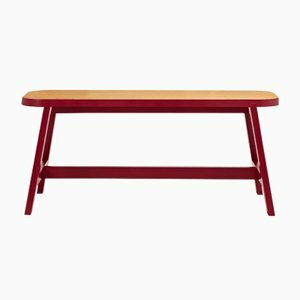 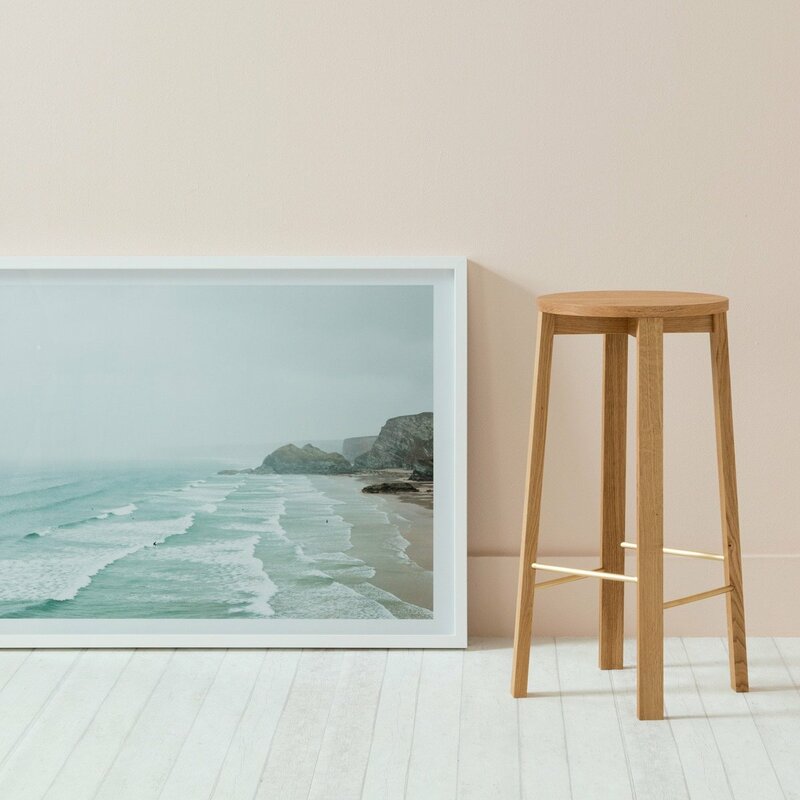 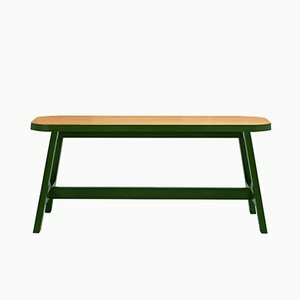 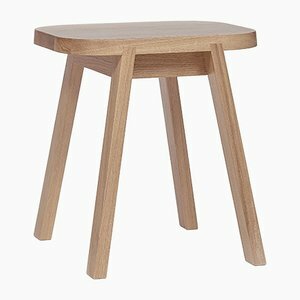 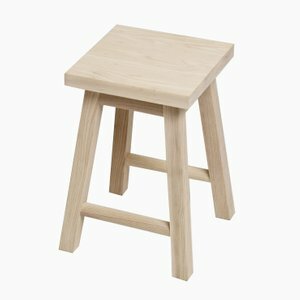 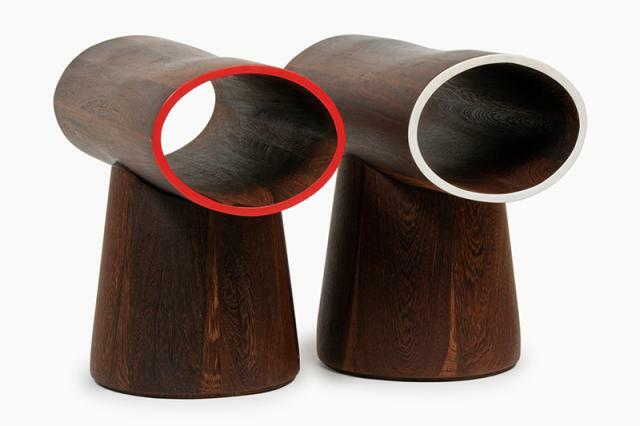 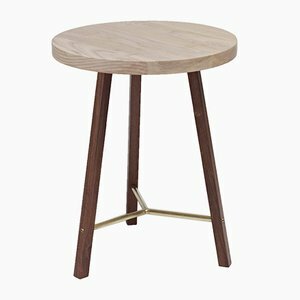 The design of this stool stems from Another Country's study of traditional English kitchen table design and 20th Century modernism. 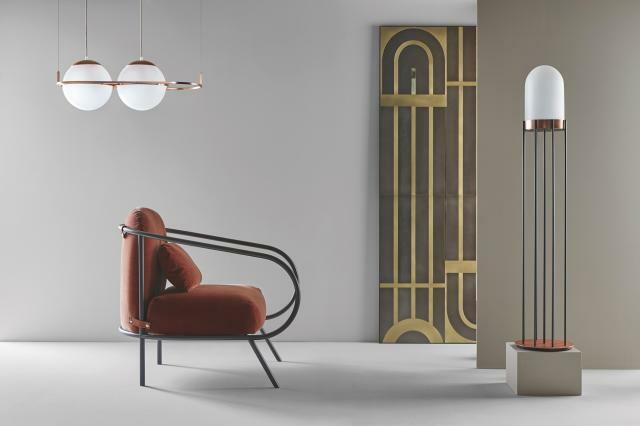 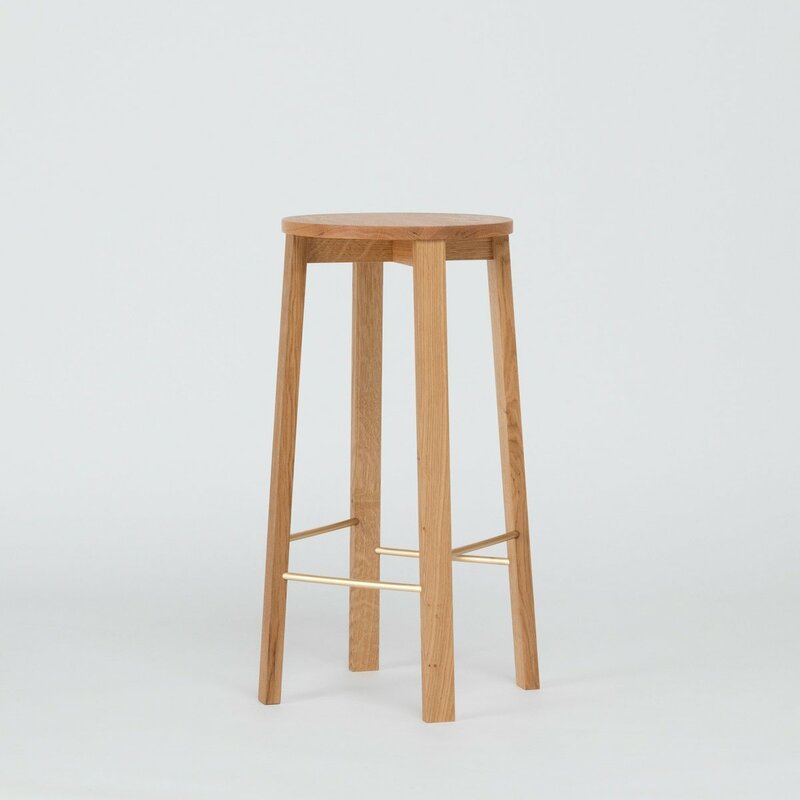 The strong, architectural form of the new collection combines cleated end tops, Rietveld-inspired leg frames. 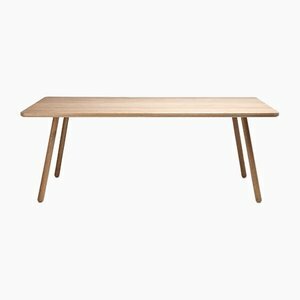 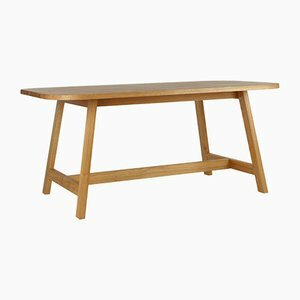 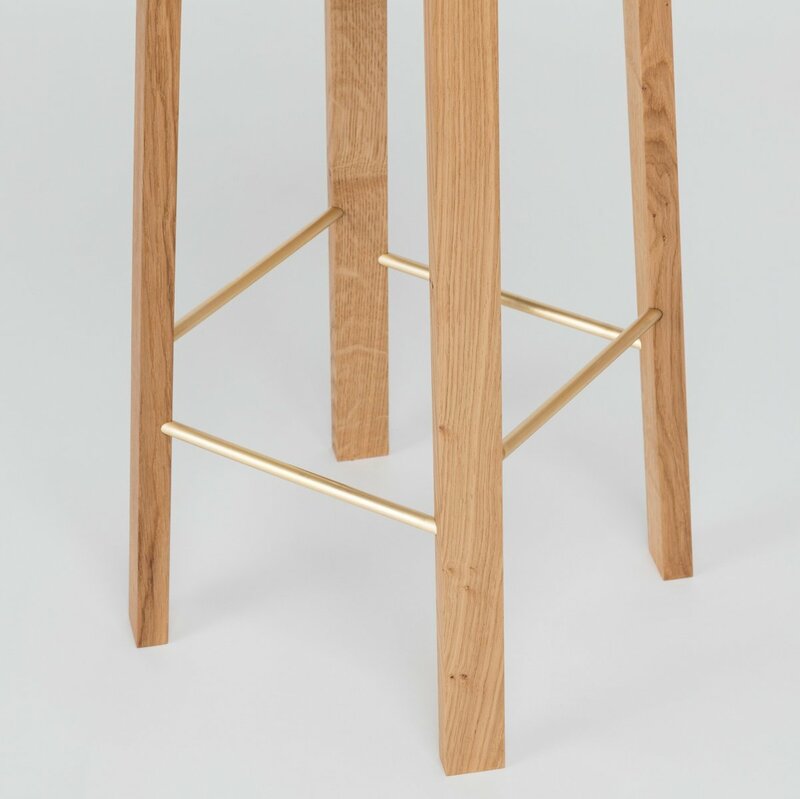 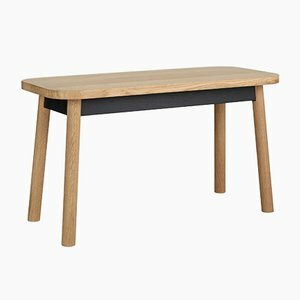 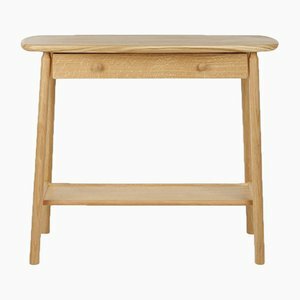 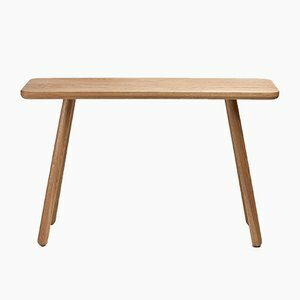 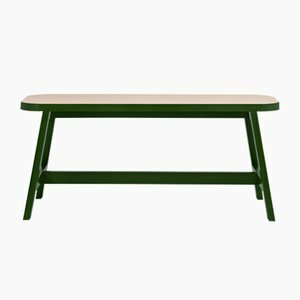 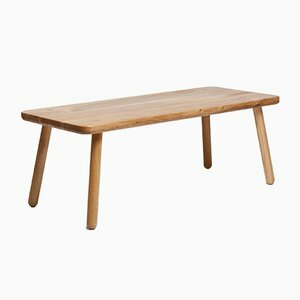 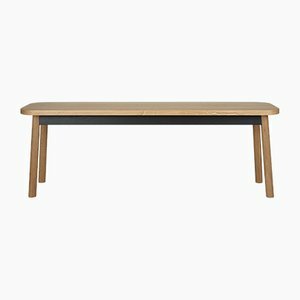 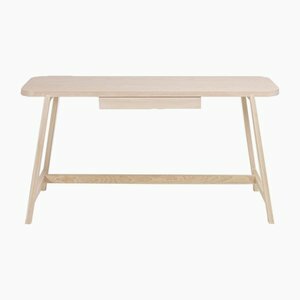 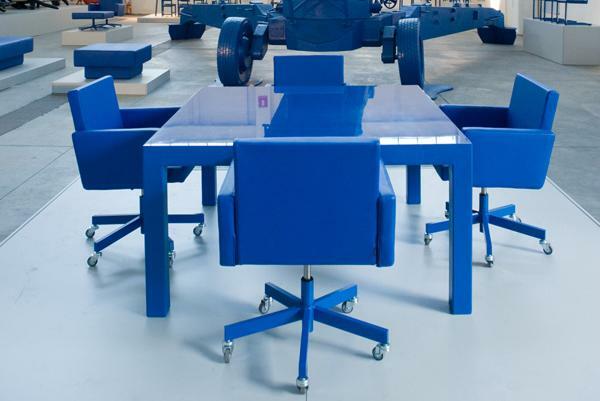 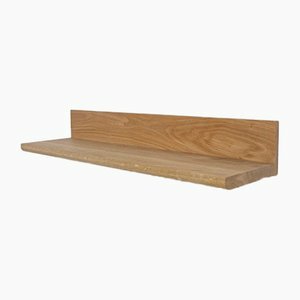 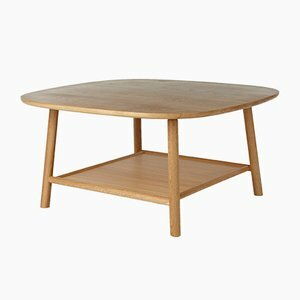 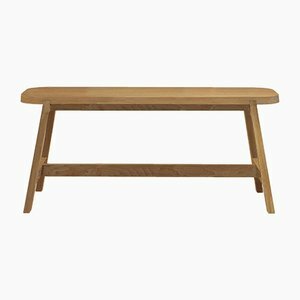 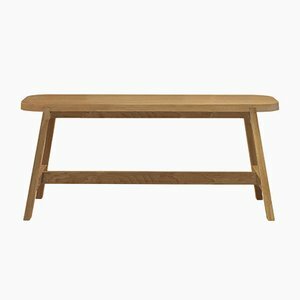 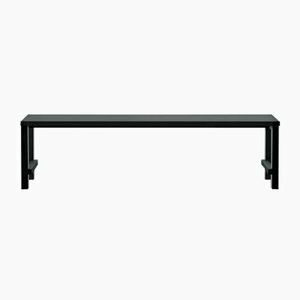 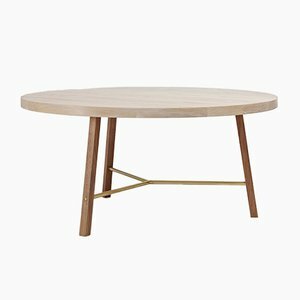 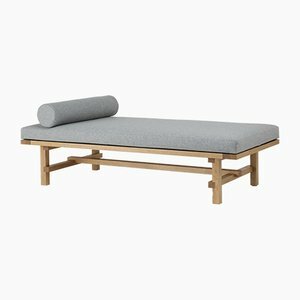 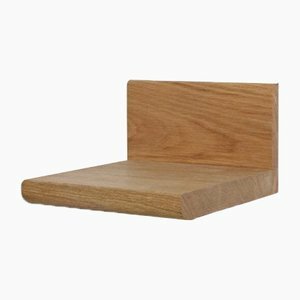 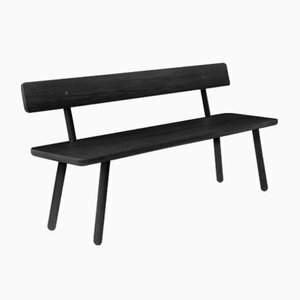 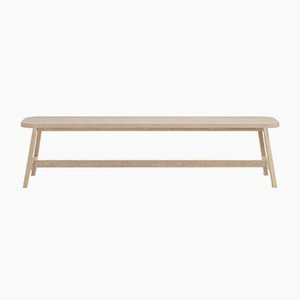 Constructed of solid oak with four legs, and the maker's signature brass footrests.